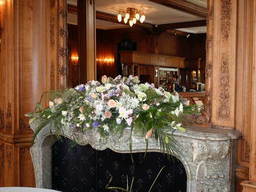 sanpado florists of distinction Experienced and highly qualified florists with decades of experience. Specialists in weddings, corporate events, gifts to suit all budgets. Delivering throughout Angus, Tayside, Fife, Aberdeenshire, Highlands and Islands. The highest quality, many flowers from Columbia with a huge vase life, and fair trade. Whatever you need, we can design and make it. Church and wedding venues decorated. Respectful funeral tributes. Balloon displays for all occasions. Quiet office area for consultations in private. Thousands of 'photos of our work are available and many magazines are here for you to enjoy. We also do balloon displays for all occasions. 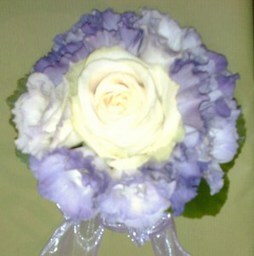 Funeral flowers With your every need we will discuss all your special requirements. Delivery to all local florists is free for all Funeral flowers. See our website for some ideas. We can make anything you require.